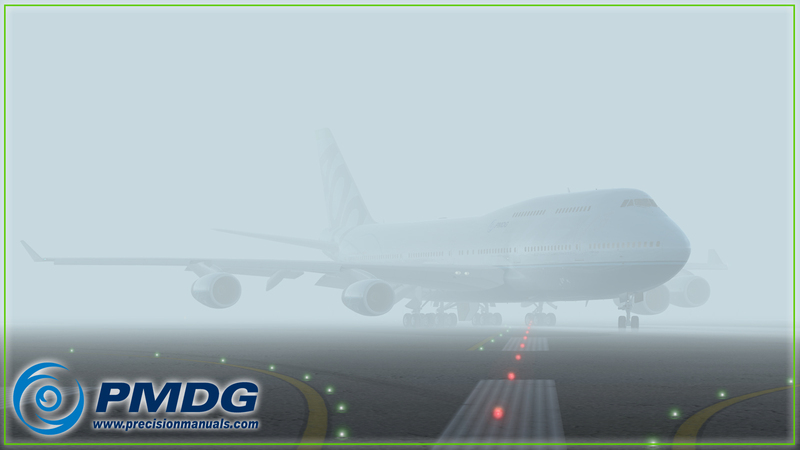 PMDG 747-400 Queen of the Skies II – Moves into Beta! 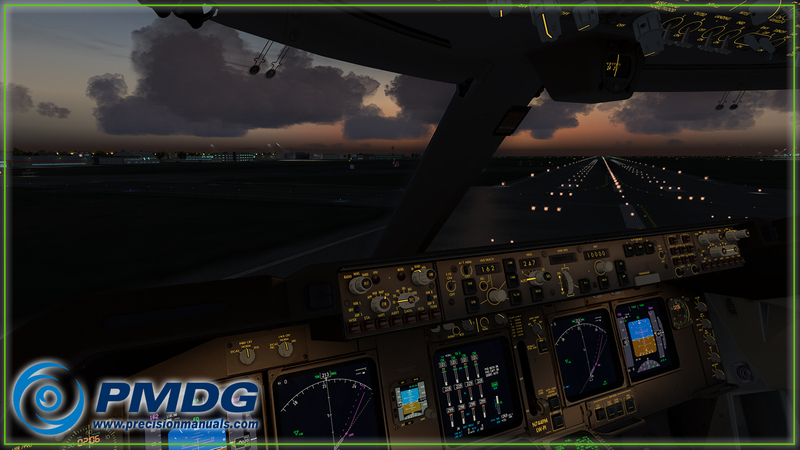 And news we’ve all been waiting for…… The PMDG 747 V3 is now in beta testing. What does this mean? This means that the technical beta testing has come to an end, and the beta version to the beta testers has gone live. Usually this process takes a few months, so we could be looking at an end of year or beginning of next year release. Find more information here, or alternatively you can read the whole post below. 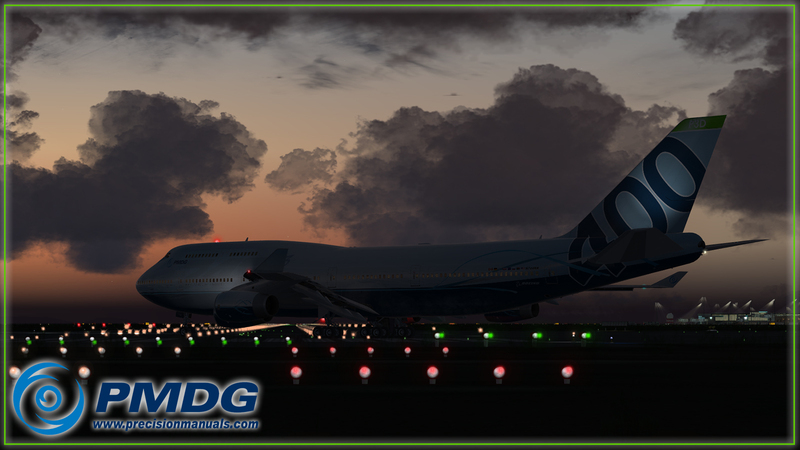 This is a big weekend for the PMDG 747-400 Queen of the Skies II, as we begin the process of moving her from Tech Testing to beta testing at long last! We have been working with our tech team since we assembled them back in late January, and they have been an incredibly valuable resource in making this product better, more accurate, and of course- more complete. I know our beta team tends to get all of the glory, because they are usually folks who also participate here in the forum and thus you get to know them personally- but I’d like to take a moment to thank all of our tech team members who have played an incredibly valuable role in helping us to move this simulation further and further along. Our tech teams always surprise us with their knowledge and enthusiasm- and the team that has assembled to help us re-launch our flagship 747 product line is no exception. From obscure trivia to nuances to operationally based testing- no stone is going unturned and the results are really very good. In fact- the tech team has caused us to evaluate replacing some key components in our simulation engine that will have long term benefits not only to the 747, but to the 777 and NGX as well. Some of these changes are already in place, and others are so major we elected not to include them in the initial release because of the risks to the release timeline- so we will be slipstreaming some fairly major updates into the usual post release update process. I am excited to tell you more about those changes- but I’m going to hold off a bit, just in case we pull a rabbit out of a hat and have them completed prior to release! Ultimately though, this means that the product will grow and expand in the post release phase- even more than the hundreds and hundreds of changes we have made to the NGX and 777 in their post release life cycles. Okay- so with all of that said- we are currently in the process of preparing the airplane to enter beta testing during the week ahead. Our beta team has been chomping at the bit for more than a year to have access to this product- but we have held off because we just didn’t feel we were ready for their input- given how much feedback we were receiving from our Tech team. We are ready now- and all of us are excited to see and hear what they think! How about some imagery to liven the mood? Let’s start off with a nice, evening departure, fading daylight, illuminated runway and 747-400 mood shot, shall we? We have a put a huge amount of effort into animations on the outside of the model in order to please even the sharpest aircraft spotter. As with the 777, we are using an active fluid-flow and pressure model for hydraulics in the 747, and this has been expanded to include many of the flow-limiting devices that are used to control things such as gear doors and landing gear and occasionally flight controls as they near their range limits. By adding these features to the simulation, you will notice a greater fluidity, and natural motion with animations than is normally achieved with external part animations. No abrupt or instantaneous motion here- it is fluid and organic- which leads to a very convincing external model view. We are also using some new techniques for external lighting that allow us to capture details such as the variable brightness landing lights that are a unique feature of the 747-400. Most users will never notice them- but those who really appreciate detail will see them for what they are: Another example of just how deeply into the simulation we take you! Sticking with our moody, evening departure for a moment- here is a great shot of the flight deck as the ship is pivoting into position on the departure runway. What I cannot relay for you in this image is the sound the airplane makes as you conduct the turn. From the normal airframe shifting sounds to unique sounds emanating from the body gear steering or the nose gear if you abuse the turn rates, to the vibration of the nose gear slipping under tension, once again we are very focused on the use of sound in conjunction with animation to give you a very real sense of “being there” on the flight deck. Lighting as usual, is a big part of immersing you in the sense of feel, and once again we have put an incredible amount of effort into making sure the lighting matches the actual airplane. From studying the wash and panel lighting, to making certain (as we have for more than a decade) that the various lights, indicators, annunciators and such are properly powered by the correct sources- to ensuring that the mix of lighting choices accurately interplays to give you the correct response to the dimmers and panel back lighting. All of it is there- just as always- with the advantage of continual subtle improvements in techniques and form. With the base package, we are giving you three unique engine models, each with its own core engine simulation and sound package. Aficionados of the 747-400 will appreciate how accurate each ship sounds when compared to her real-world engine mates. In this image you can also see the old style MCP, with the (to me at least) incredibly annoying flutter digits making up the displays. When flying the airplane, there are few things more annoying when you are managing a complex maneuver than to have to wait around while the digits settle in from their energetic dance so that you can see if you got that ATC heading dialed in correctly or not. As always- we are cramming a HUGE number of options and configurations into the product so that you can match the equipment to a specific operator or tail number, thus increasing the level of realism in your simulation. Moving back a bit toward the perspective of the jumpseat, and swapping the night mood for a low-visibility mood, we have a bunch more detail for you. Also visible in this image is the Para-Visual Display, an interesting little techno device that uses input from the ILS and the FMS in order to increase the crew’s awareness of runway centerline tracking during low visibility conditions. We just got this operable this week, and I have been playing around with it some during my testing. For those who love gadgetry- this one will tickle the funny bone for sure- especially since you can run it through the self-test and dimming functions just like you would on the airplane in operation. Now properly lined up, you get a good sense of the mood just prior to the start of business in earnest. The low visibility, diffuse lighting in the flight deck offset slightly by Jason’s turning up some of the panel flood lighting slightly in order to increase visibility of items on the panel a bit. All of it gives a very good sense of just how beautiful this product is when used with Lockheed Martin’s Prepar3D. OH… Did I say Prepar3D? Why yes, I did. All of the images in this preview were taken using Lockheed Martin’s Prepar3D v3.4. While our technical testing has been taking place, we have been quietly prepping the Prepar3d version of the PMDG 747-400 QOTSII for testing simultaneously in P3D by both our Tech and Beta teams starting (we hope) this week. The plan, as of today, is to release both platforms side by side… but there are some interesting challenges to accomplishing that goal- so it is still entirely possible that we might hold the Prepar3D version back while we complete updates that are unique to the v3.4 platform. Now that we are pushing her out to the beta team- I expect you will begin to see far more information from us and from them… as we start winding up development and moving her toward release! Oh- and surprises… yes… surprises… they told me i’m not allowed to tell you about the…. <transmission garbled>. Dangit. That is precisely why we needed a <transmission garbled>.